When it comes to digital transformation, you need to hire the best keynote speaker to share his knowledge and skills during a conference event in order to make sure that you efficiently achieve your corporate goals. Hence, if you are currently looking for an expert digital marketer, you’ve come to the right place. In fact, Monty Metzger has the ultimate expertise that will help you in making the event more fruitful. 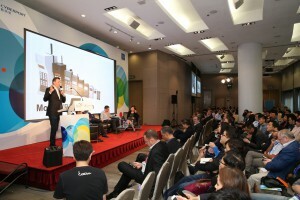 Being one of the top and most reliable keynote speakers that will provide you with an ultimate experience in terms of acquiring excellent skills in the digital marketing arena, across the globe, Monty has been a reliable and highly affordable professional speaker at international conferences that discuss how digital transformation affects every business worldwide. An expert keynote speaker will actively highlight the fundamentals of digital transformation in summits, industry conferences as well as corporate events. Your needs and standards in business leadership, digital lifestyle transformation, mobile and social media, cutting edge technology, and even in connected consumerism are efficiently covered. Monty perfectly understands that there is evolving needs in the digital market including its culture as well as the society. If you want a keynote speaker who can provide these aspects, Monty is here to help you out. It’s not a good thing to be generic in sharing knowledge since every conference or summit has its own needs and objective. This keynote speaker always guarantees that the objectives and goals of the event are met in the most efficient manner possible. In fact, the presentations are prepped up early enough to make sure that everything is covered and needs are satisfied. There is great significance in tailoring important topics while highlighting the key points in every presentation. He significantly gives importance to audience connection in order to guarantee that they relate to all the topics discussed and get something useful for their own business needs. As your trusted future analyst, Monty and his team also studies how digital transformation affects various industries including the culture of the businesses worldwide. However, the main priority is to address the needs of the audience. With the ability to collaborate with attendees and other hosts of the event, this keynote speaker is able to professionally provide tangible value as well as direction in order to motivate and inspire participants in learning top skills to keep up with digital transformation. Through motivational approach, he leaves the audiences to feel empowered and equipped with the right skills so that they can adapt to the changes in technology that seems to be unending. The main functions that Monty wants to serve include education, inspiration, and alignment. By helping the participants to understand the opportunities offered before them, he can successfully carry out the right future strategies for your business. 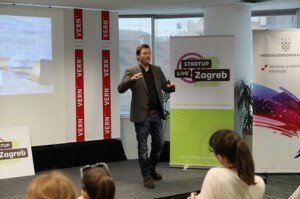 Last weekend I was Speaker & Jury-Member at StartUp Live “From Idea to Product in 54 Hours” in Zagreb, Croatia. I met lots of passionate entrepreneurs and developers and enjoyed discussing their business ideas. The Social Web is The New Sixties! How to catch your community and start a movement. Legendary singer-songwriter Donovan and the social media expert Monty Metzger hold a collaborative keynote at the Artist Day of the Reeperbahn Campus, 2010. The impact of social media on the music industry is fundamentally changing the profession. Your reputation is now defined as the sum of all conversations taking place amongst users and it’s happening now regardless of whether or not you are part of these conversations. Millions of blog posts. Viral videos. Reviews in forums. Sharing and remixing of music. Status updates via facebook, twitter and co. It is disruptive. It is distributed. It is in the hands of users and communities. And if you are an artist, producer or music professional it’s your responsibility to manage it.